Finnish woodfiber insulation is a wood-based thermal insulation material made of recycled fibre. It is a natural choice with age-old and well-tested properties that enhance the comfort of living. Woodfiber insulation’s thermal insulation and breathable properties are second to none. The fibre contains and retains air that forms an efficient method of thermal insulation. Ekovilla also contains high volumes of insulating air between the fibres. The fibres have been ground in a unique way that keeps it airy and light while enhancing insulation. Breathable structures work and dry safely in both directions, keeping the house warm in winter and cool in summer. Woodfiber insulation is a green choice. 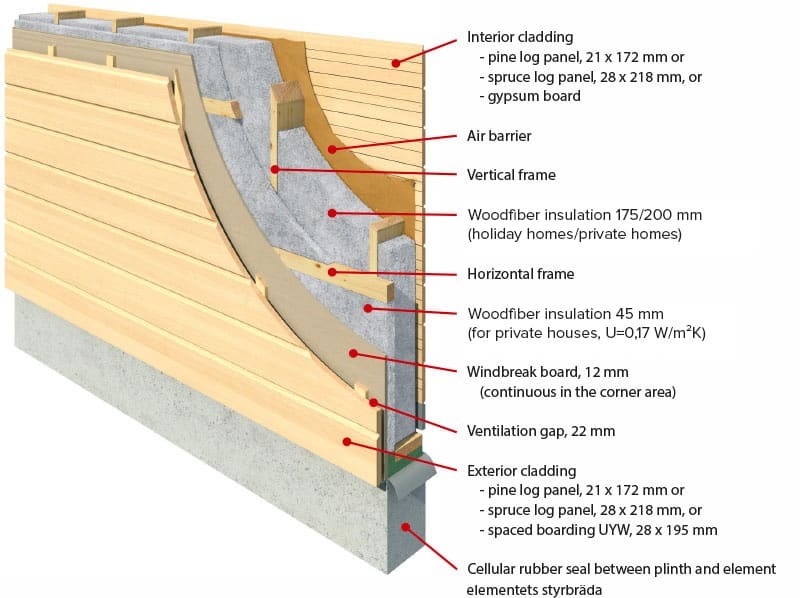 When a house is insulated with wood fibre, it acts as a carbon sink for its entire life cycle: it binds the carbon inside the wood fibres, reducing the home’s carbon footprint. Woodfiber insulation can be reused as an insulation or a soil improver, for example, or returned back to nature. Woodfiber insulation manufacturing process consumes very little energy. Wood-based breathable insulation solutions have a centuries-old tradition and a proven track record in durability.